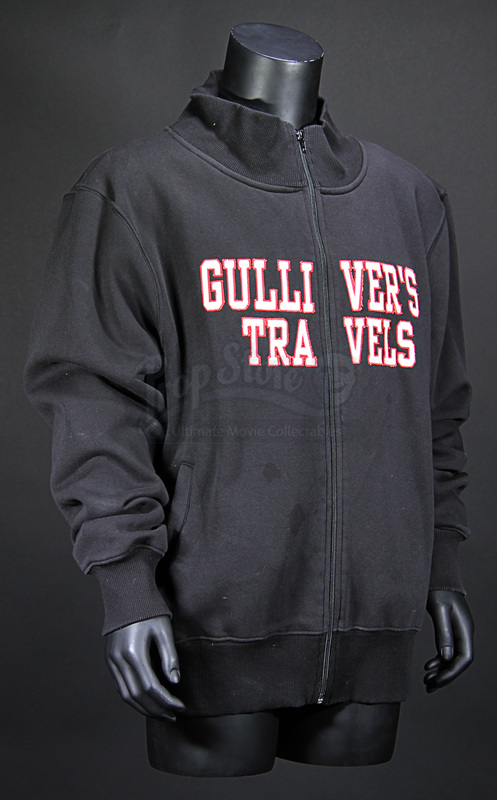 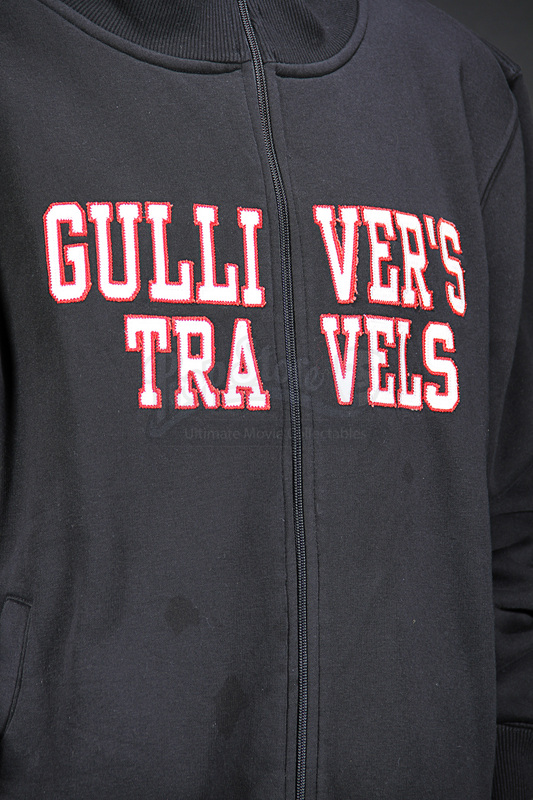 A crew track top from 2010 adventure comedy Gulliver’s Travels. 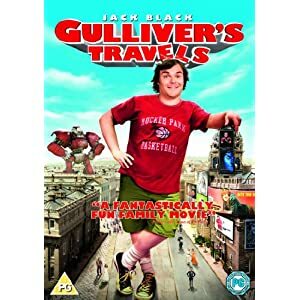 Eager to impress his workplace crush, New York Tribune mailroom staffer Lemuel Gulliver (Jack Black) takes on a reporting assignment in the Bermuda triangle. 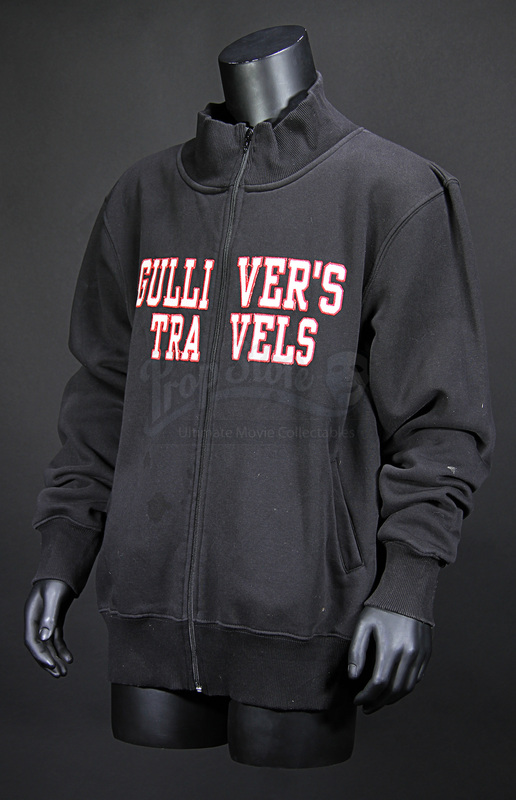 Little does he know that his journey through the triangle will take him to land of Lilliput, where he is the size of a giant. 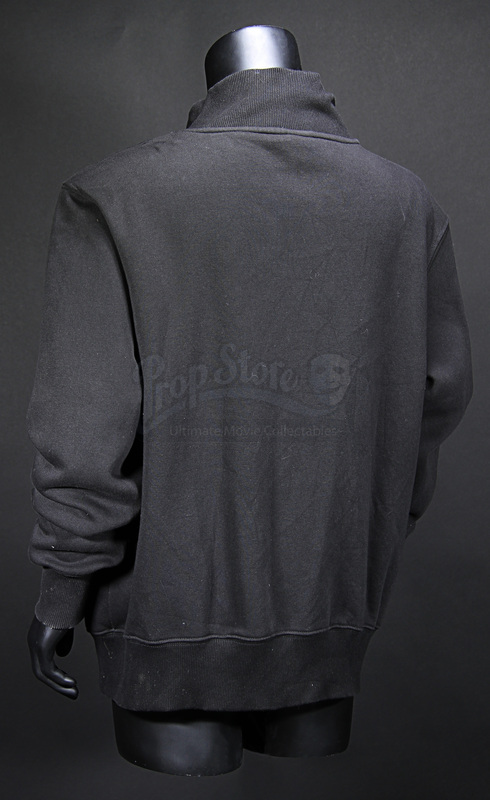 This jacket and others like it were given to members of the cast and film crew working on the production. Made of black material, the top features a thick knitted collar, cuffs and waistband and has the production’s title in red and white stitched to the front. 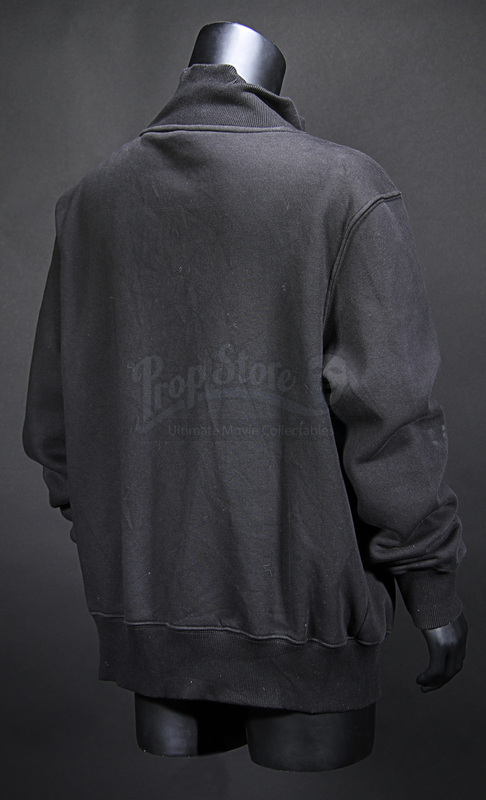 The top remains in excellent unworn condition and is marked as a size extra extra large.